The tragedies and triumphs that took place in Birmingham during the civil rights movement awakened an entire nation to the reality of racial injustice African-Americans faced nationwide. During the 1950s and 1960s, African-Americans fought peacefully to gain equal rights in the United States and were met with resistance, and often violence. On this civil rights tour, students will have the opportunity to explore historical sites, learn about key moments and walk in the footsteps of the inspiring leaders who helped changed the trajectory of the United States story. Students will learn real history, the importance of tolerance and awareness, and grasp the relevance of the civil rights movement today. An emotional and eye-opening experience, this tour is best suited for mature high school students. Deluxe Continental Breakfast may include the following: breakfast breads (bagels, english muffins, toast), breakfast pastries, cold cereal, oatmeal, yogurt, muffins, etc. Milk, juice, coffee and tea also available. Continental spreads may vary depending on location. On Sunday morning, September 15, 1963, the Ku Klux Klan bombed the Sixteenth Street Baptist Church in Birmingham, Alabama, killing four girls. This murderous act shocked the nation and galvanized the civil rights movement. The Institute showcases a walking journey through the "living institution," which displays the lessons of the past as a positive way to chart new directions for the future. 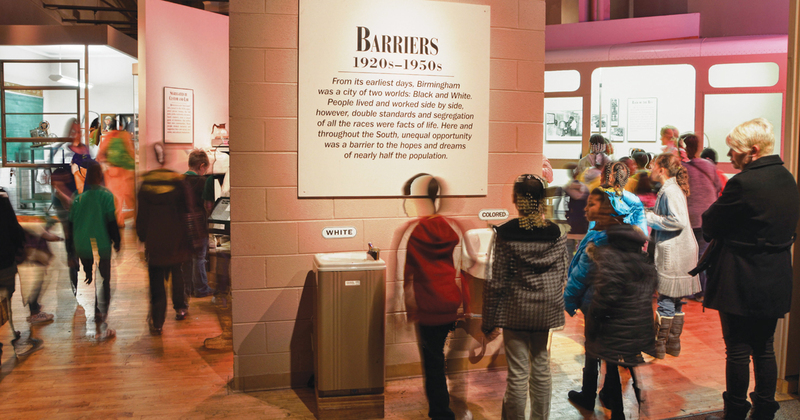 The permanent exhibitions are a self-directed journey through Birmingham's contributions to the Civil Rights Movement and human rights struggles during the 1950's and 1960's. Multimedia exhibitions focus on the history of African-American life and the struggle for civil rights. The Oral History Project, one of the museum's multimedia exhibits, documents Birmingham's role in the Civil Rights Movement through the voices of movement participants. The Civil Rights Memorial honors the achievements and memory of those who lost their lives during the Civil Rights Movement, a period framed by the momentous Brown v. Board decision in 1954 and the assassination of Dr. Martin Luther King in 1968. Journeys for the Soul will take you on a fulfilling learning experience that takes you through the Movement that changed the landscape of America, the Civil Rights Movement. Tour includes a uniquely personal and intimate eyewitness account of the uncivil days of the Civil Rights Movement – from the foot soldiers who were there and who are still fighting to keep their history alive. Accommodations at a hotel similar to a Hampton Inn or Holiday Inn Express. Please note that we do not hold hotel space for a group without a tour commitment; therefore, tour pricing is subject to change in the event that availability changes at the hotel. Private Security Guard to sit on the floor the group occupies from 10:00 PM to 5:00 AM. The Museum is located on the former site of the old Empire Theatre where Mrs. Parks made her courageous and historic stand in 1955. The interpretive museum occupies the first floor of the TROY-Montgomery Campus Library. It includes permanent and special exhibits as well as a 103-seat, 2200 square foot multimedia auditorium. In a non-violent and nonthreatening manner, six distinct and unique areas inside the museum tell the story of bravery and courage of early civil rights soldiers. *Please note: This site is closed July 4th through Labor Day. In 1961 groups of volunteers made history by challenging the practice of segregated travel through the South. They called themselves Freedom Riders as they crossed racial barriers in depots and onboard buses. The 1961 Freedom Riders did not begin or end their journey in Montgomery, Alabama, but their arrival changed the city and our nation. Freedom Riders, black and white, male and female, none of them older than 22, stepped off a bus at the Montgomery Greyhound Station on May 20, 1961. They were prepared to meet mob violence with non-violence and courage. They prepared farewell letters and wills. Their goal was to help end racial segregation in public transportation. And they did. The church was designated as a National Historic Landmark in 1974. 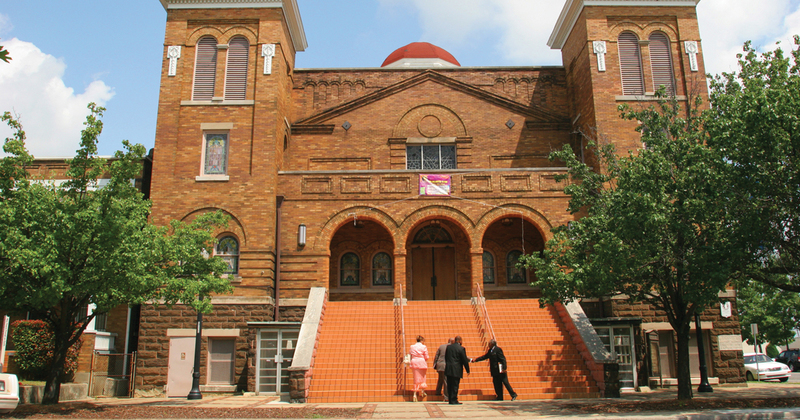 In 1978 the official name was changed to the Dexter Avenue King Memorial Baptist Church, in memory of Dr. Martin Luther King, Jr., who helped to organize the Montgomery Bus Boycott in the church's basement. The church is located steps away from the Alabama State Capitol. The Civil Rights Memorial honors the achievements and memory of those who died during the Civil Rights Movement, a period framed by the momentous Brown v. Board decision in 1954 and the assassination of Dr. Martin Luther King in 1968. The memorial serves as a vehicle for education and reflection about the struggle for equality. The group will have a 1 hour guided tour. The Hangar #1 Museum consists of two main visitor areas: Orientation Room and Museum area. The Orientation Room includes a 4-minute video that introduces the visitor to the Tuskegee Airmen - who they are and the many and varied jobs they performed. The Museum area houses two World War II era training aircraft and takes the visitor back on a journey to the 1940's through a re-creation of some of the sights and sounds of Moton Field during its heyday. Accommodations at a hotel similar to a Hampton Inn and Suites or Holiday Inn Express. Please note that we do not hold hotel space for a group without a tour commitment; therefore, tour pricing is subject to change in the event that availability changes at the hotel. 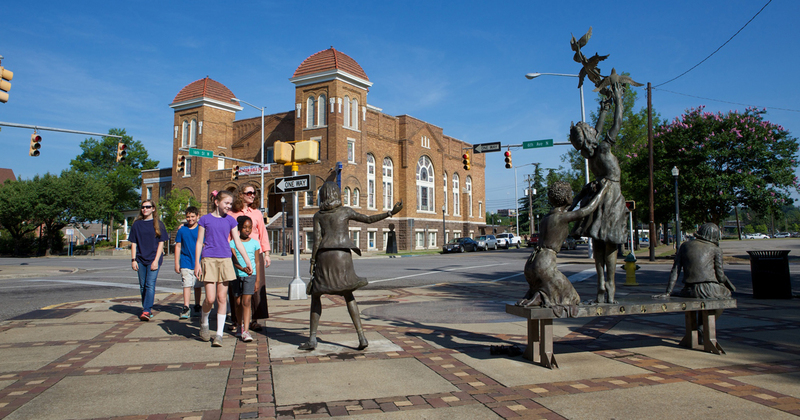 The guided tour includes: Atlanta city tour and a tour of the MLK sites on Auburn Street. The National Center for Civil and Human Rights is an engaging cultural attraction that connects the American Civil Rights Movement to today’s Global Human Rights Movements. Exhibits at the center include "Voice to the Voiceless: The Morehouse College Martin Luther King, Jr. Collection", "Rolls Down Like Water: The American Civil Rights Movement", and "Spark of Conviction: The Global Human Rights Movement." *Please note: This site is closed on Mondays. The World of Coca-Cola is the only place where you can explore the complete story—past, present, and future—of the world's best-known brand! Taste over 60 different products from around the globe, experience our thrilling 4-D Theater (3D movie with moving seats), be amazed by a fully-functioning bottling line and take home a FREE 8-ounce bottle of Coca-Cola®, give our 7-foot-tall Coca-Cola® Polar Bear a big hug, and see the world's largest collection of Coke memorabilia. As the world’s largest aquarium, Georgia Aquarium features more animals than any other aquarium in more than eight million gallons of water. Through a path of more than sixty exhibits, the Aquarium tells a global water story, with features modeled after the greatest zoos and aquariums in the world.